Most insurance plans cover the cost of Registered Massage Therapy (either partially or in its entirety). You do not need a doctor’s referral for massage therapy; however, some insurance plans will require a doctor’s prescription for massage therapy in order to cover massage treatments. A Registered Massage Therapist can assess and treat a client’s symptoms. If your doctor has referred you for massage therapy, the therapist can work with that doctor as required. LaStone® Therapy is a form of therapy developed by Mary D. Nelson, who studied massage at the Desert Institute of the Healing Arts in Tucson, Arizona. She has taught this technique to many people all over the world, including a group of therapists at the famed Mayo Clinic in Minnesota. Mary Nelson is a pioneer in the research and development of geo-thermal therapy, a technique that applies hot and cold stones to the body to bring about relaxation and other therapeutic benefits. The use of cold stones as part of the therapy is similar to the use of what is called “contrast hydrotherapy” in a registered massage therapy practice. The cold stones are used in areas of pain or inflammation to achieve relief from symptoms. Cold stones can also be used to create an invigorating response instead of relaxation. However, in the majority of LaStone® treatments, most of the stones used are the hot ones. LaStone Therapy® begins with gentle stretches and Swedish massage to warm up the body’s muscle tissue. The client sits up and the therapist places two rows of warm stones on the treatment table in alignment with both sides of the spine. The therapist covers the stones with a soft towel to protect the client from the heat, then the client lies down. Stones of varying weights are placed on the body’s key energy channels, including the seven main chakras. 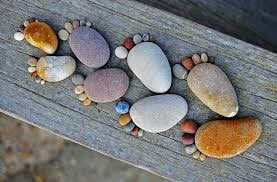 Pebble-sized warm stones are placed between the toes and warm stones are held in the client’s hands. The therapist also uses both hot and cool stones as an extension of his or her hand while doing Swedish massage. Alternating between heat and cold both stimulates and relaxes the circulatory system, which is very detoxifying for the body. In cooperation with heated stones, chilled marble stones create a dramatic movement of fluids within the body. The end result is the ultimate relaxation experience.